The canonical tag is a line of code put in the <head> of a webpage’s source code that tells the search engines the original source of the information. It is most often self-referential, meaning it points to the URL on which the tag exists. In cases where the website has very similar or duplicate content, or the content was originally published on one site and then republished on another site, the canonical will point to the original source of the content. The canonical is placed in the <head> section of each page on your website. The canonical tag was originally announced in 2009 by the dominant search engines at the time – Yahoo!, Live, and Google. This new tag was billed by some as the biggest change to combat duplicate content and help with website indexation since XML sitemaps were introduced to tell search engines directly about the pages on your website. 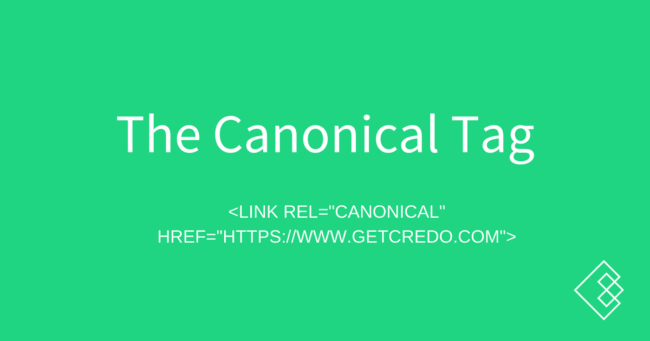 We should note that the canonical tag is a directive to the search engines, meaning that it is a suggestion for how to treat that page and can be ignored. The canonical tag does not redirect the front end user to the page where the canonical points, if different from the current page. The front end user also will never see the canonical tag. Fix duplicate content caused by republishing content on another website. Fix near-duplicates on a website when redirects are not possible. A few common misunderstandings about how to use the canonical tag also exist. Fix HTTP/HTTPS/WWW/NON-WWW duplicate content issues. These should be fixed via a 301 redirect. Combine all paginated pages to the base page (eg canonicaling /reference.html/page/2/ to /reference.html). This is open to debate amongst SEOs, but we always recommend self-referencing canonicals in pagination. Another major mistake that we often see is 301 redirecting a page to a new page that then canonicals elsewhere. On very large websites, this leads to immense crawl budget waste and rankings across the site will suffer.